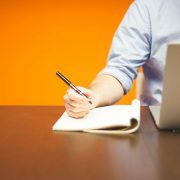 You might be thinking that GrantsEdge writes a lot about what grant writers need to consider as it relates to funders. Well, you’re right, we do. The reality is that we do it very intentionally because it’s with funders where your grant proposals either die on the review table or live to bring financial support to innovative and impactful projects and worthy participants through the work of your organization. Are You Ready For Some More Grant Writing Advice From Funders? Just a couple of weeks ago we gave you some insight on a recent conversation we had with funders in our blog, “Get In On The Secret: What Funders Want Grant Writers To Know.” If you haven’t read it already, you may want to either read it now, before you really dive into this blog, or you may want to read it as soon as you are done here so that you can gain even more perspective on what funders want grant writers to know…and more importantly, what they want you to do. As we prepared and developed an outline for the blog this week, we realized how much more insight we had from funders that we needed to share. So here are five more grant writing tips we have learned from funders that, if implemented, will make them super happy. What Are The Five Grant Writing Tips? There’s so much more to writing a successful grant than the actual writing. Managing the overall process of a grant application as well as being intentional about the way you establish relationships with funders and community partnerships can dramatically alter the fate of your proposals. Funders like to invest their resources in programming or projects that have well thought out partnerships. Funders are looking to avoid the duplication of services that can take place in communities and know that when organizations work together effectively, amazing work can get done. Funders know that most programs can accomplish more with greater community involvement. If you are not the one in your organization to spearhead collaborative relationships with other agencies or partners, take some time now to meet with representatives of your leadership team to explain to them the importance of collaboration in grant writing. Underline the fact that the more that can be done to build relationships and establish strong working partnerships before a proposal is written, the more influential that part of a grant application will be when viewed through the eyes of a review committee. We’ve talked in multiple blogs about the value of building relationships with your funding partners. Part of building trust and credibility comes through in the questions that you ask. 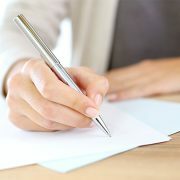 When you are connecting with funders and gathering information about an upcoming application, be sure to do your homework first. Asking questions that can be easily understood by referring to a website or reading page two of the application guidelines is a sure way of frustrating your funder. Use your questions to dig a little deeper and to get some perspective from funders that you may not understand after having read through the application instructions. Can you explain what the term “collaborative partnerships” means to you? Can you provide an example of how an organization that you invested in within the past few years implemented an effective collaborative partnership that was able to positively impact a project or program? It may well be that you need to understand more completely what the funder means by “collaborative partnerships”, it’s not a bad question in and of itself, so ask away. But if you are going to connect with a funder, don’t just ask questions for the sake of asking, and certainly don’t ask questions that you can easily find answers to yourself. An Egyptian novelist, Naguib Mahfoz once said, “You can tell whether a man is clever by his answers. You can tell whether a man is wise by his questions.” Your questions will make an impression with your funder, so be sure they are thoughtful and valuable. At GrantsEdge we hear numerous anecdotes from funders, that provide us with ammunition for our blogs and stories for our training events. This next story is one that is difficult to imagine, but does a great job at demonstrating just how unreasonable some grant writers can be as they develop their proposals. A funder we know once told us that they received a hand-written application requesting $1 million dollars. That alone should raise some eyebrows. But the other interesting part of the story is that the organization making this significant request had an operating budget the year before that totaled $5,000. Without the entire context of the story, and without giving the grant writer (we don’t actually know who they are) a chance to defend him or herself, this seems to be an example of a grant writer/organization that hasn’t necessarily considered the perspective of a funder. Funders want to have confidence that an organization can be an effective steward of the money they have invested. The organization making the million-dollar request may well be able to effectively manage that kind of budget, but the funder told us this story because based on all the information they had, nothing about the proposal was reasonable. Funders are excited to give money to all kinds of organizations, whether they are grass roots operating on streamlined budgets, or whether they are large non-profits with multi-million dollar budgets…and anything in between. But, when making your funding request, be realistic with the approach to your ask. Put yourself in a funder’s position and understand their perspective before crafting your proposal. And, in case you weren’t sure, please don’t hand write your proposal. There are times when significant changes happen within your organization after you have completed the original submission of an application but before a final determination is made. In those circumstances, it is important to communicate with the funder to provide them with new information. Examples might include (but are not limited to) a change at the Executive Director level or a revision to program outcomes. Another scenario that needs to be considered is when an organization has received funding for the project from another source. 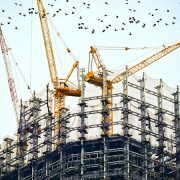 New information about the budget might change the actual amount now needed to run the project, or might encourage the funder with the fact that a solid financial foundation is in place to effectively move a project forward successfully. Any kind of adjustment in the financial information related to your request may further encourage a funder to invest and may bring an increased sense of confidence in the project. If changes occur and you are not sure if you should connect with a funder, then connect. It would be better to have that conversation in advance, knowing that there is nothing that could sabotage or create issues in the future. If, at GrantsEdge, we had a nickel for every time a grant writer was feeling stressed about meeting a proposal deadline…well, you know how that saying goes…we’d probably have a lot of money. We know grant writing can be a challenge in regards to the time it takes to complete a quality proposal. We know that deadlines often seem tight and that application submission dates always seem to fall at the worst possible times. But, as a grant writer, you need to know (if you don’t already) that funders don’t like it when you send a proposal in past the deadline, and in many cases they can’t do anything about the fact that it was late. 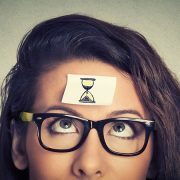 We can’t stress enough the idea that you can’t be even one second past the funder’s deadline. In many cases now, an online proposal won’t be accepted or can’t even physically be sent once the time has passed. But, even if a funder was gracious enough to accept your proposal, what kind of impression do you think submitting a late application really makes? Fair or not, your tardiness brings into question your organization’s ability to follow direction, implement a work plan, or manage time in general. A late proposal may suggest that your funder was not a priority and that you are not ready to receive their money. We can’t stress enough the importance of building a work plan that allows you to submit a proposal a few days before the deadline. Think of the stress you will avoid, and imagine the smile on the face of your funder when they see that an organization has worked diligently to complete a proposal before the deadline. That sounds like a win, win situation. What Do You Need To Do To Make Your Funder Smile? We think reflection and evaluation is important. Ask yourself and your grant writing team to think about these five tips to gain an understanding for whether or not you currently make funders happy with the way you write grants. Is there anything you can do differently? 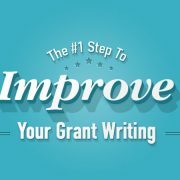 Is there anything you need to begin to plan for now that can put your grant writing processes in a much better place? Are there partnerships you need to initiate? Are there questions you need to be asking? 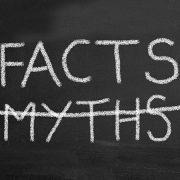 The next time you talk to a funder, take a few minutes to ask them what makes them happy, or what grant writers do to frustrate them, and don’t be shocked when some of the tips mentioned in this blog (and some of our other blogs) are at the forefront of their mind. We want you to write successful grants, and these ideas are another small piece of the puzzle that will keep you moving in the right direction.